In July, I had the opportunity to travel with my daughter and the Lenoir-Rhyne Youth Chorus on their trip to Austria and Germany. My mom was able to join us, and after the group tour was over, the three of us spent a few days in Paris. It was the trip of a lifetime, truly. I have only ever been out of the U.S. to England before (unless you count Canada, where we did visit, when we lived in Michigan). I'm going to try to share some of our experiences with you, though it's hard to put it all into words. It took me a day or two to be able for my brain to realize that we were seeing things built in the Middle Ages. We flew into Munich, in Germany, and boarded buses to Salzburg, Austria. 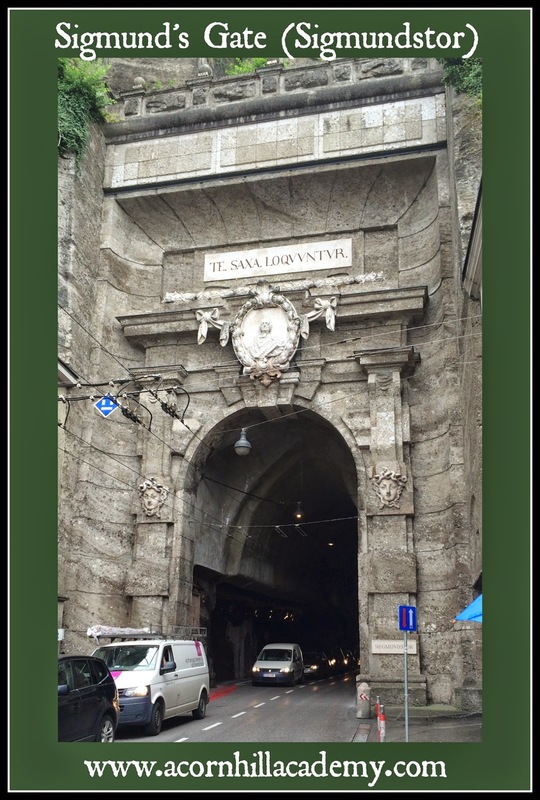 As soon as we reached Salzburg, we had a little time for lunch, and then we split into three groups and took a 2.5 hour walking tour of Salzburg, focusing on Mozart, who was born there. We were all exhausted from the flight and the time change, and honestly, I don't remember much of what we learned, except that Mozart was not actually a citizen of Austria - he was a citizen of the Independent State of Salzburg before it became part of Austria. I thought that was interesting. 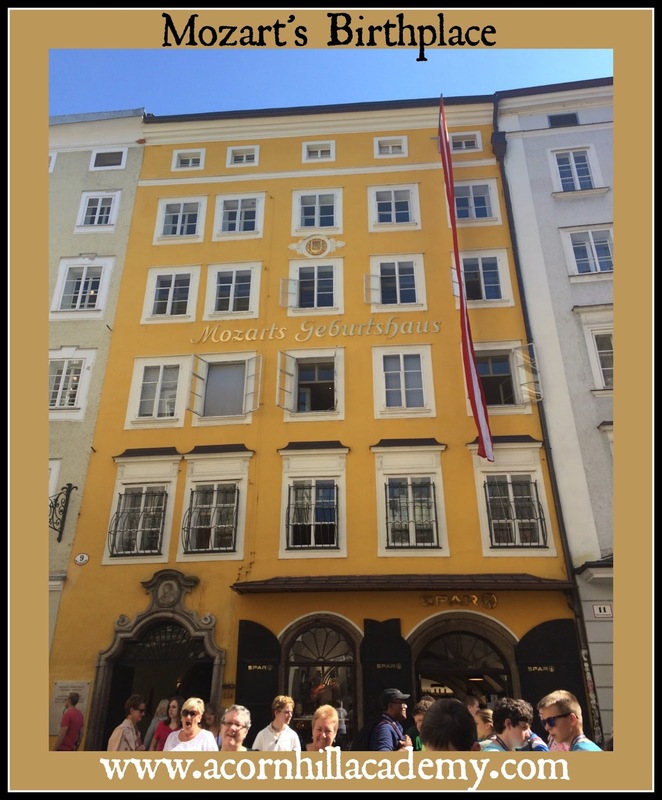 We saw Mozart's birthplace, a three-room apartment, in a building that's been turned into a museum. We saw lots of artifacts, including some music that Mozart wrote himself. 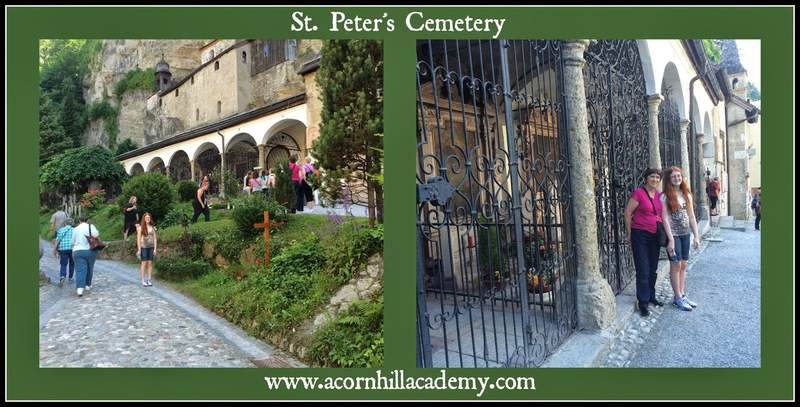 Another part of our tour took us through the St. Peter's Cemetery, which is where the Von Trapp family hid from the Nazis in the movie, The Sound of Music. It's also the oldest cemetery in Salzburg. If I remember correctly, our tour guide told us the bishop allows people to keep their family cemetery plots until there are no family members left tending to them, at which point they are sold to another family. There is, of course, a LOT of tourism in Salzburg related to The Sound of Music! It's my mom's favorite movie, Abbie and I have seen it several times as well, so we enjoyed seeing all the places from the movie, and when we watched the movie again, it was much more real to us. One that I still can't place is called Sigmundstor, or Sigmund's Gate. It connects the old town with the newer parts, and was built between 1764 and 1767. 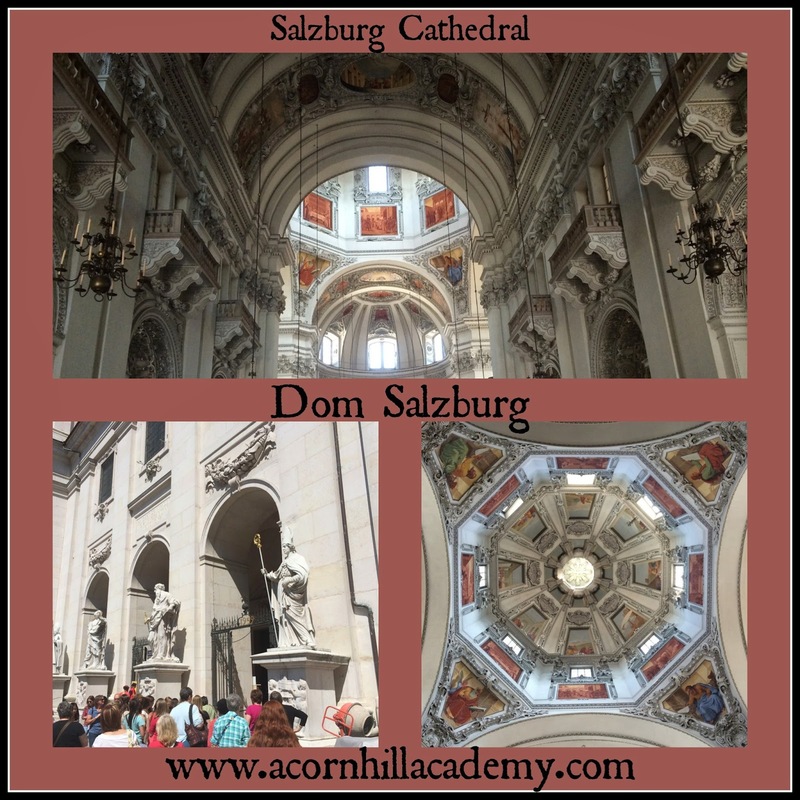 The most wonderful thing about Salzburg was hearing the kids sing in the cathedral. The cathedral itself is a beautiful Baroque construction with stunning frescoes inside. It was our first time in a European cathedral, and we were all just astonished by all the beauty. The kids sounded like angels in there. The acoustics were amazing. Mrs. Jowers, the director, said the kids were amazingly responsive to her directions in the cathedrals, and we could all tell a difference in the dynamics when they were singing, as compared to how they sound in the local church where they usually perform. Here they are singing an Alleluia - I'm sorry I missed the very beginning of the song! Abbie is on the left, second row from the top, with glasses. It's hard to tell who she is in the video because she has her hair pulled back. LRYC Singing in the Salzburg Cathedral We spent four days in Salzburg, and one day while Abbie went up to the fortress with some friends, my mom and poked around at some churches and stuff. Every single church we saw was beautiful - I don't have words to describe them. The best part was that most of them had small booklets printed about the history of the buildings, and I bought them whenever they were available, because even the ones only in German had gorgeous pictures. And, they are all still used for worship, even the huge cathedral - how amazing would it be to worship every week in one of these buildings? Every inch is a visual testimony of worship. So, that's a quick summary of our time in Salzburg! Come back tomorrow and I will tell you about my very favorite part of our trip.